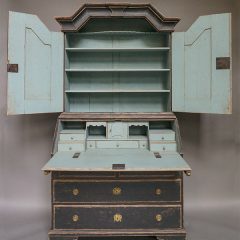 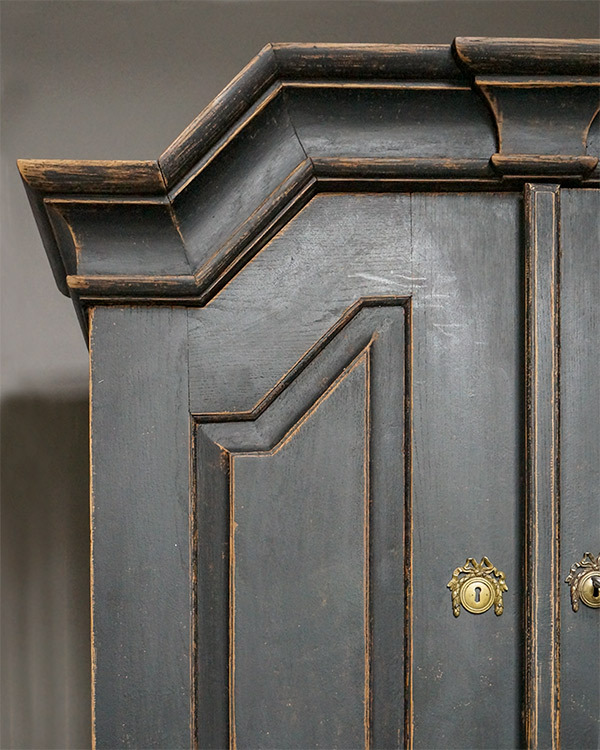 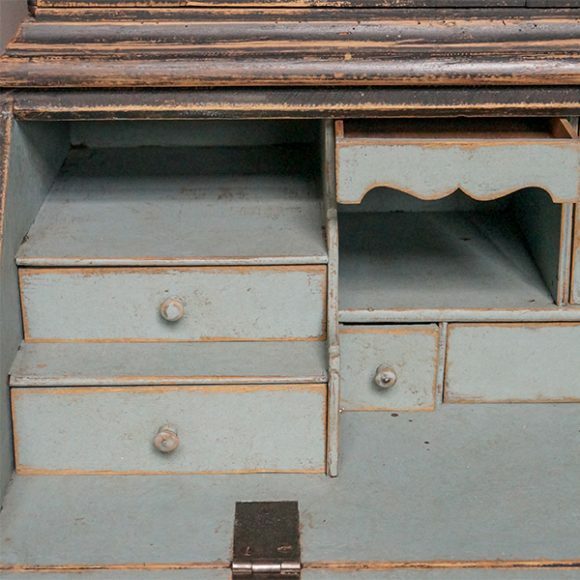 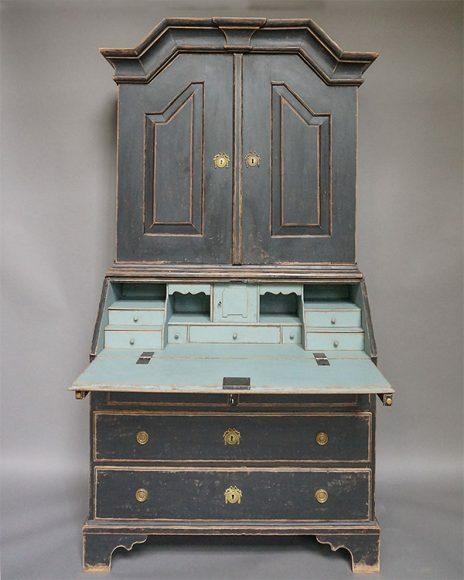 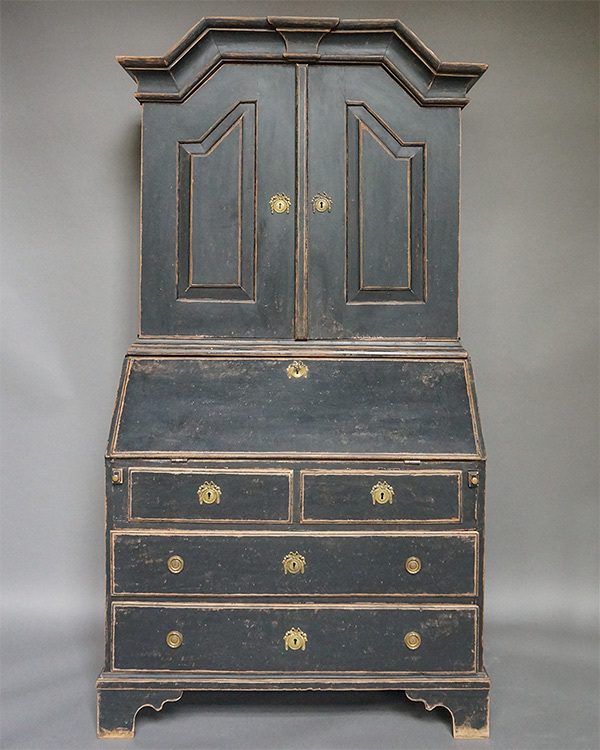 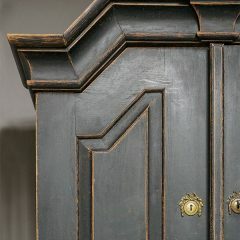 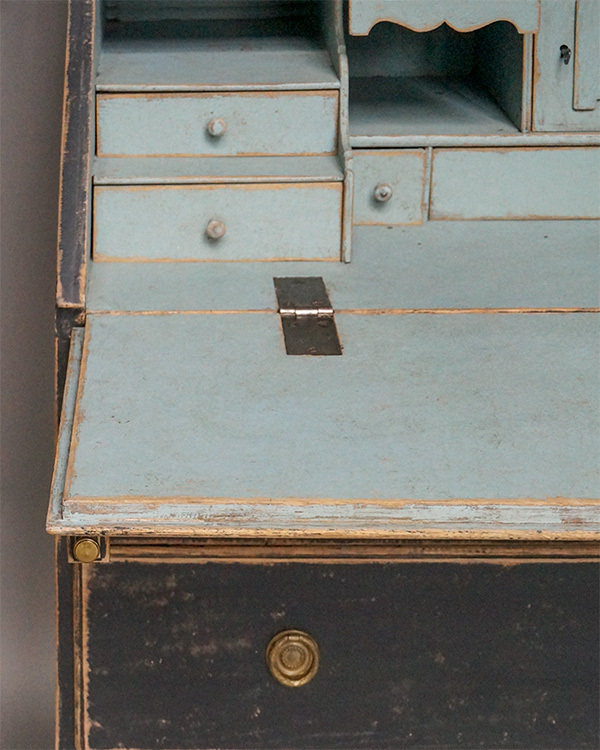 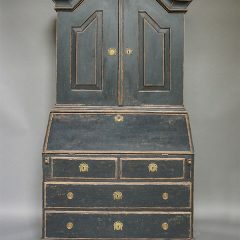 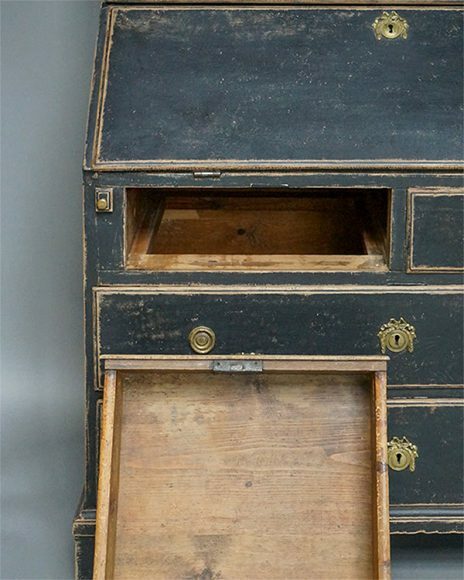 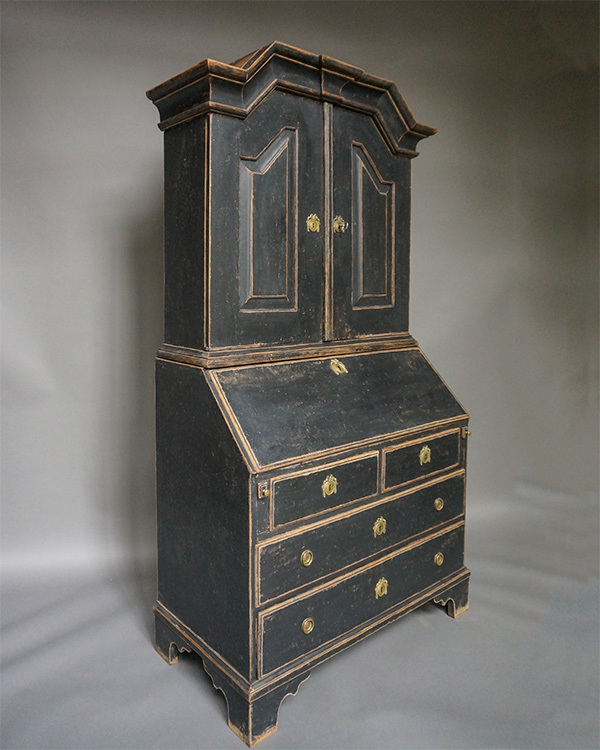 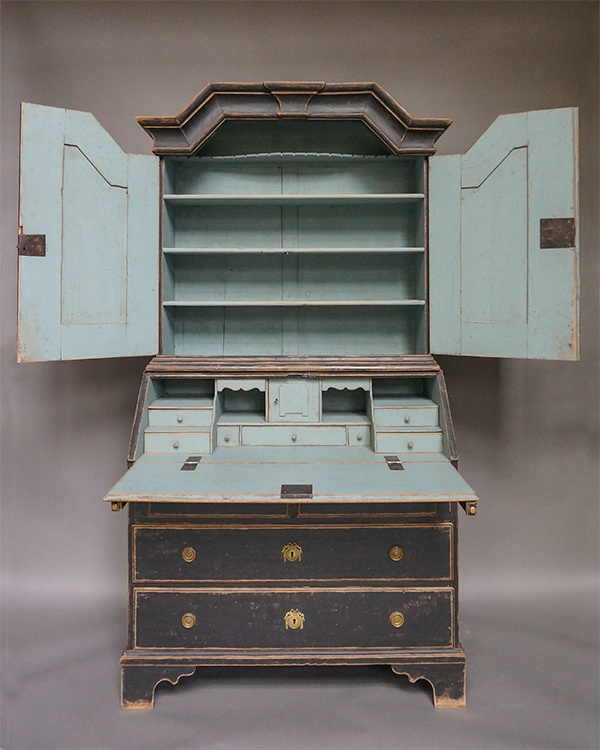 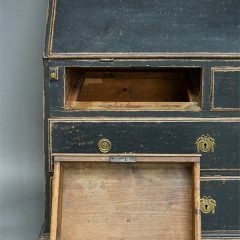 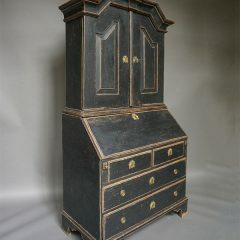 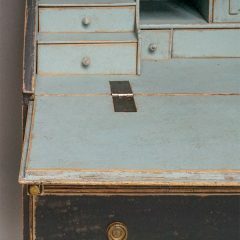 Two part Swedish secretary, circa 1780, in black paint. 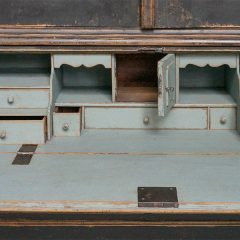 The upper section has four shelves, one notched for spoons, behind a pair of raised panel doors. 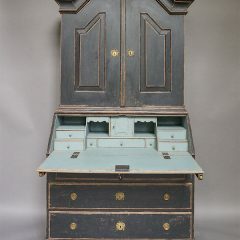 The lower section has a fitted interior over two half-width and two full-width drawers, all on a shaped bracket base.